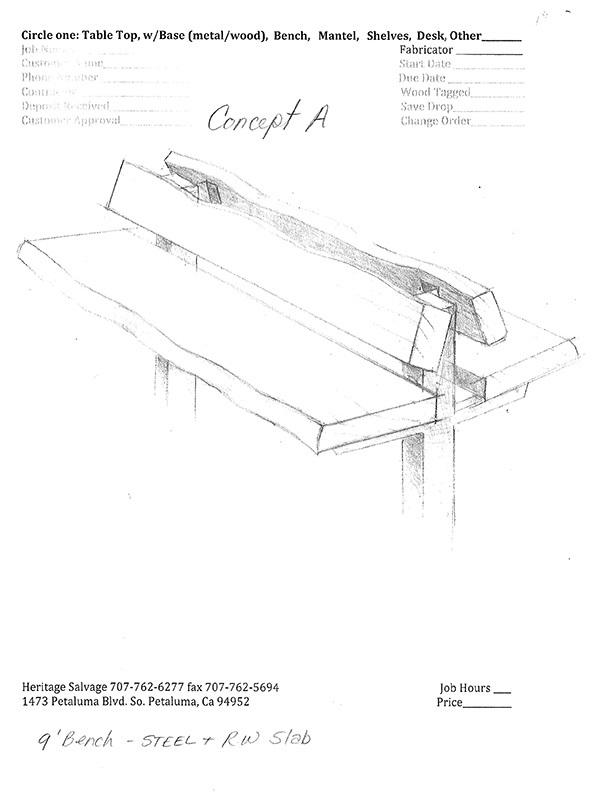 We are ready to start construction on the Community Bench to be located on the south path of Shollenberger Park – all we need is your support. 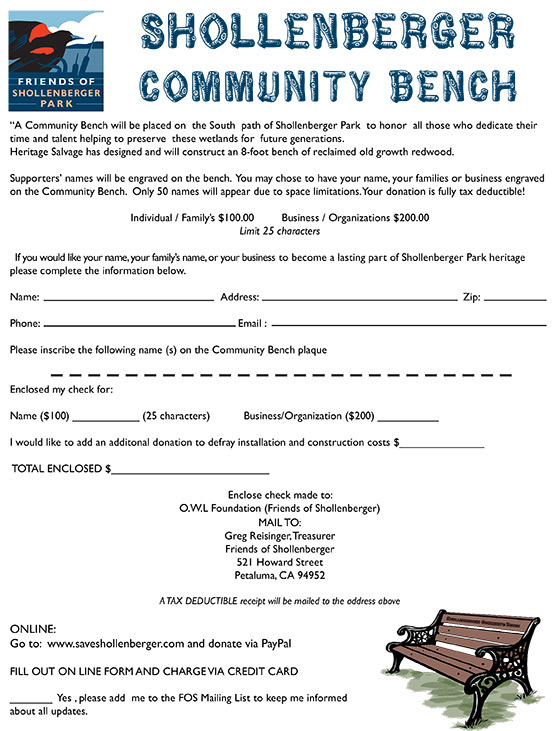 Join us in building a commemorative bench at Shollenberger - and to stand strong to protect Petaluma's Open Space. The bench is a symbol of all the hard work and determination that you the Community have mustered to say "YES!" to our park, our river, our health, and our local treasures, and to say "NO!" to an asphalt factory on the banks of the Petaluma River, at the Gateway to Petaluma and Sonoma County, right in the 100 year Flood Plain. . This 8’ foot old growth redwood bench will be built by Heritage Salvage as a gift to our community. Your donation will help pay for its installation. A donation of $100 will be recognized by inscribing your name, loved one’s name(s) on donor bricks that will surround the pad supporting the bench. We have received donations from about 15 citizens, corporate supporters ($200), and dedicated elected officials. We have room for about 15 more. Fill out your Donor Form by June 30 and be a part of history. Make your donation today. The deadline is June 30 to have your name as part of the Community Bench and Petaluma history. 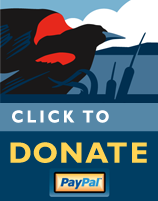 Your donation also supports the efforts of Friends of Sholllenberger to continue our community’s opposition to the Dutra asphalt factory’s location, It is still the WRONG PLANT IN THE WRONG PLACE – too near homes, schools, river and park recreation spaces and our wild life preserve. 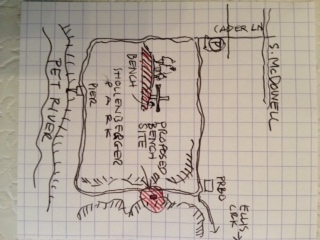 , Supervising Planner County of Sonoma County PRMD. Our attorneys and scientific experts are scrutinizing Dutra’s applications for the various permits as they are submitted and we are already challenging their accuracy and validity. We’ll continue to work to preserve and protect Shollenberger Park. Your support has been invaluable and is greatly appreciated throughout our community.